"Very courteous staff, clean and everything was made availabl..."
Have a question for Bella Vista Resort? "Staff were super friendly and good." "Nice place to spend time." 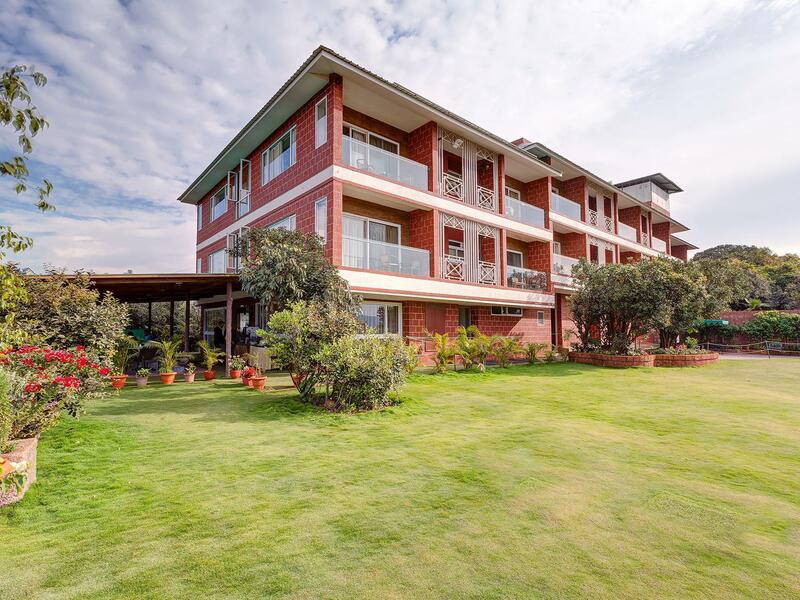 "The property is well planned and maintained, the space is well utilized." 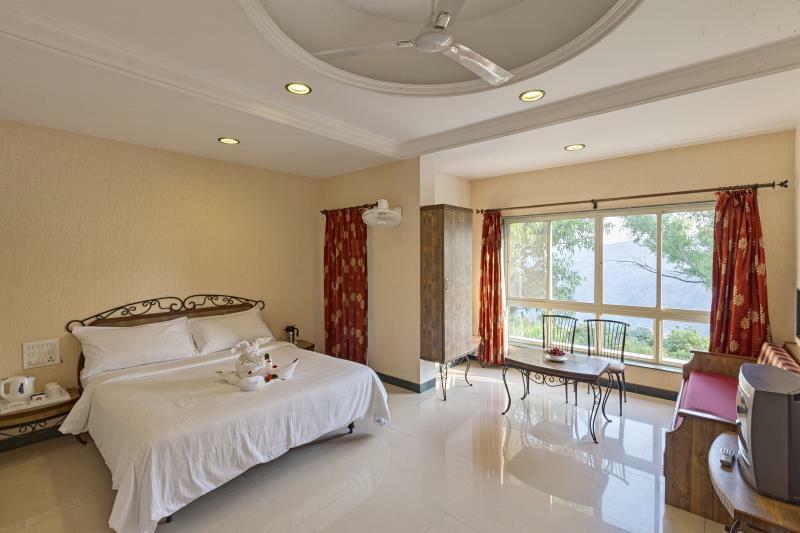 "We had an amazing stay at Bella Vista resort in Mahabaleshwa..."
Ideal for fun and relaxation, Bella Vista Resort is located in the Metgutad area of Mahabaleshwar. Set 7.2 km from the excitement of the city, this 3.5-star hotel commands an excellent location and provides access to the city's biggest attractions. With its convenient location, the hotel offers easy access to the city's must-see destinations. 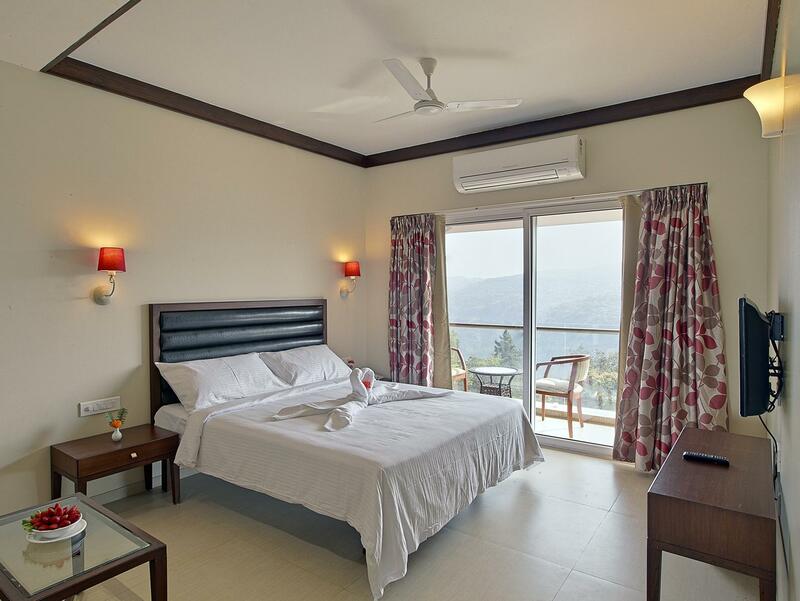 The facilities and services provided by Bella Vista Resort ensure a pleasant stay for guests. Top features of the hotel include 24-hour room service, free Wi-Fi in all rooms, 24-hour security, daily housekeeping, postal service. 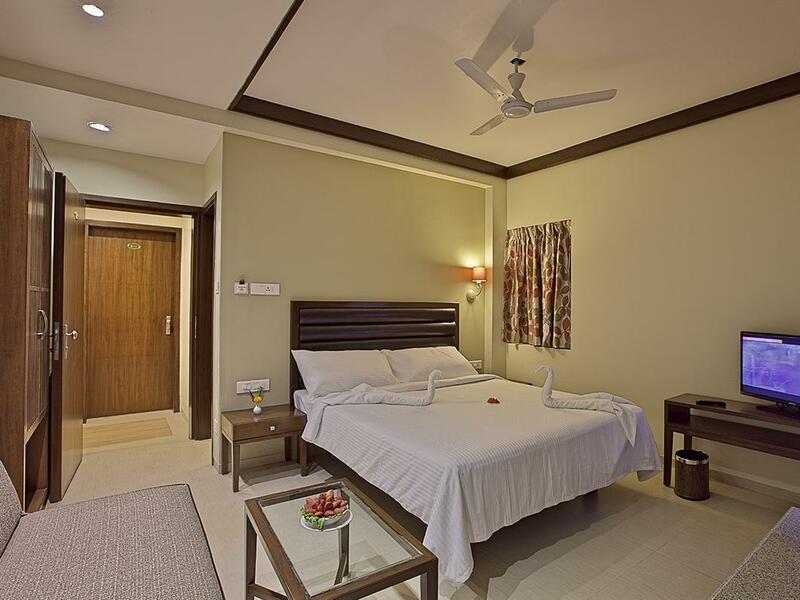 36 rooms spread over 2 floors provide a warm and pleasant home away from home. 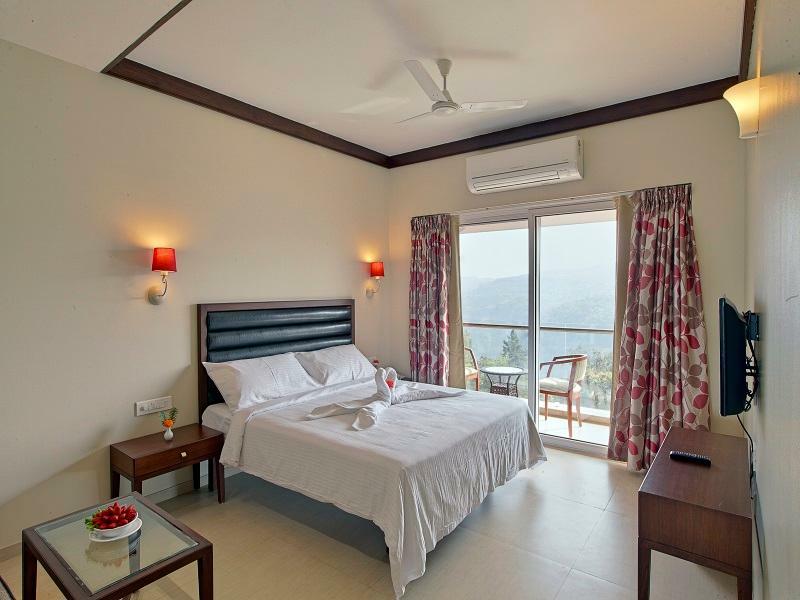 Modern comforts such as television LCD/plasma screen, cleaning products, clothes rack, complimentary instant coffee, complimentary tea can be found in selected rooms. The hotel's recreational facilities, which include outdoor pool, spa, children's playground, table tennis, garden are designed for escape and relaxation. Whatever your reason for visiting Mahabaleshwar, the Bella Vista Resort is the perfect venue for an exhilarating and exciting break away. We had an amazing stay at Bella Vista resort in Mahabaleshwar. The property is well planned and maintained, the space is well utilized. It has something for all age groups. The staff is hands on and have been trained well. The restaurant at the resort serves good food at reasonable rates as compared to other resorts. I would recommend this place for a comfortable stay. Dear Guest, Greetings from Bella Vista! Thank you for patronizing us and for your warm feedback. We are humbled by your praises about the entire team. We believe in going above and beyond to Make It Right for all our guests and are happy that we could do the same for you and your family. We would be delighted to welcome you back soon. Thanks and warm regards! We had a amazing time at Bella Vista Resort. Staff is very courteous and very helpful. I would like to mention, Ganesh who is working in the resort made our stay very comfortable. They have play area where my kid age 3 enjoyed a lot. Also we availed Spa service, it was a great experience. Food was good. Rooms are clean and we’ll maintained. In all we had a fabulous time at the resort. Dear Guest, Greetings from Bella Vista! It's always a feeling of great honour and satisfaction to know that our guests left with a happy feeling and memories to cherish. We thank you for patronizing us and for your kind words. Our team is grateful to you for keeping their morale high. We would be delighted to welcome you back again. Thanks and regards! It's a boutique resort. The rooms are huge and the entire hotel is spick and span. Entire staff is very well mannered and exceeds 5* hotels in service . They always greet you with a smiling face including reception, house keeping & restaurant. Complimentary buffet breakfast is the best with lots of variety to choose from. We had ala carte dinner which was also very delicious. Also they have a Spa and big indoor game section. The hotel garden is well maintained and there are many places to sit and relax outdoor with maximum privacy. 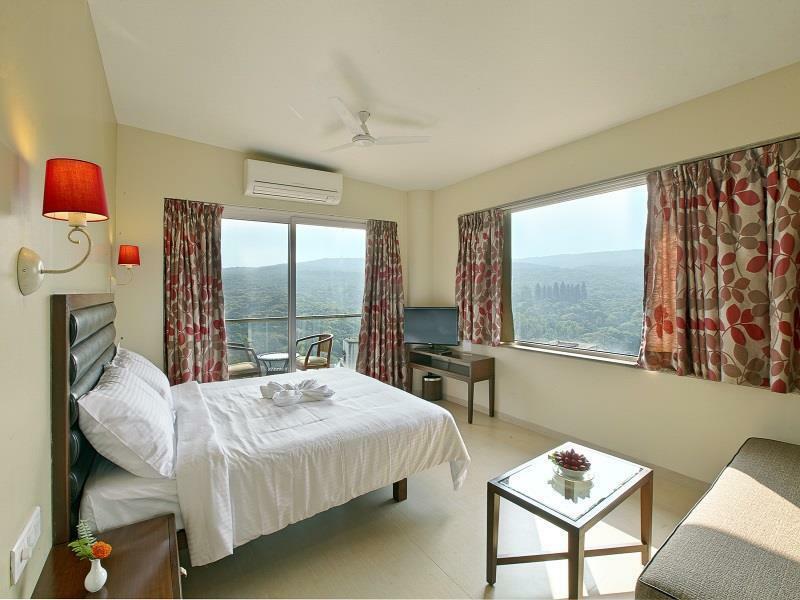 Overall the best Resort in Mahabaleshwar in its class and above. Dear Guest, Greetings from Bella Vista! We were so happy to read your amazing comments. We feel happy to learn that you enjoyed staying with us and that we could fulfill your expectations. Our entire team feels honoured with your kind words and wish to extend gratitude towards you for having appreciated us. We would be delighted to welcome you back soon! Thanks and warm regards. Stayed at Bella Vista from 7th Feb to 9th Feb 2019. Since this was our first visit to the place i was a bit unsure initially but the sheer view from the room and upkeep of the place, the gardens, the landscaping, general cleanliness & hygiene warmed our hearts. View form the balcony was soothing for the nerves, specially during the night with star lit sky. Excellent food menu with wide choice and quality. Extremely polite and helpful staff. Would like to mention few names who amazed us with their service with a a smile and efficiency. Ganesh, Usha, Asmita & Rina are few names that i recall. My sincere appreciation for their warm smiles- Always. Their must be large number of people in the background who we never met but who make this place what it is. Kudos to the management too for excellent training to the entire staff at all levels. Keep it up. Dear Guest, Greetings from Bella Vista! We wholeheartedly thank you for patronizing us and for for your kind appreciation. Your kind words would certainly inspire and motivate our team members. We are pleased to learn that you enjoyed your stay with us and we are hopeful of getting more opportunities to serve you in future. I hope we have the pleasure of welcoming you back to Bella Vista in the not too distant future. Thanks and warm regards! Very good resort. The Valley view rooms with balconies have nice view of the lawn & the mountains beyond that. Very good breakfast. A small swimming pool with Children's play area is an added attraction for the younger brigade. SPA was also good. The best is the staff, specially the F&B staff. Very courteous & efficient. Ample parking space as well. 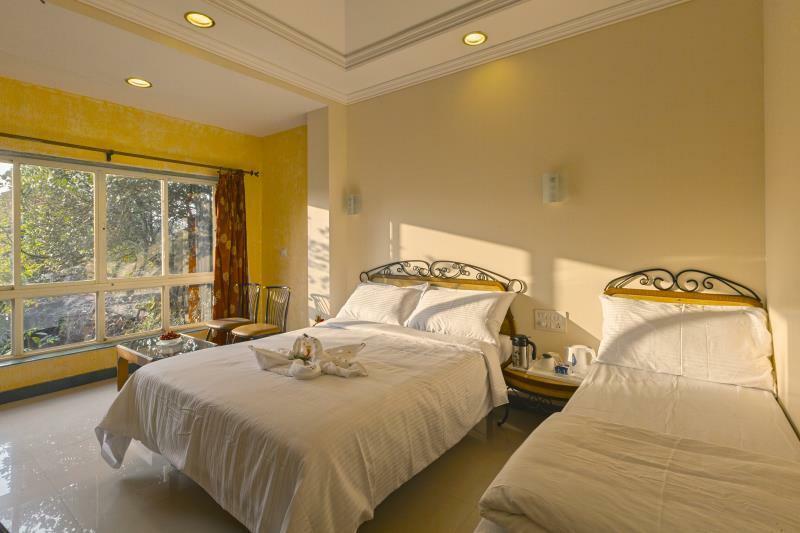 Located between Mahabaleshwar & Panchgani. Convenient location. Overall a good experience. Dear Guest, Greetings from Bella Vista! We are thankful for dedicating you valuable time in sharing this appreciation of our team and hospitality. It is a pleasure to know that our excellent services and warm hospitality were able to make your stay more than simply a good experience. Pleased to know that our culinary fare and the amenities added value to your stay. We look forward to welcoming you again for another great stay. Thanks and warm regards! Dear Guest, Greetings from Bella Vista! Thank you for your words of appreciation and encouragement. We are glad that you had a memorable stay. We are truly grateful for the wonderful things you have said about the hotel, team and services. We look forward to having more opportunities to be of service to you. Thanks and warm regards! Dear Guest, Greetings from Bella Vista! We are grateful to you for having chosen our resort for your holiday. Your kind appreciation is so heart warming and and encouraging. We sincerely thank you for keeping us energised and inspired. We hope and await for another opportunity to host you again. Thanks and warm regards! Fantastic once again, well maintained Overall excellent service at the resort as alwayd, fantastic food and service at the restaurant by Bina, Rohit and team, reception, room and the pool. The resort is well maintained with lawn, kids play area and the rooms are very good, both in the central building and the new wing. Only problem would be that too many stairs for old guests and wheel chair access would be nearly impossible with all the stairs other than for the lawn and probably for the restaurant. Dear Guest, Greetings from Bella Vista! Thank you for your words of appreciation and encouragement. We are glad that you had a memorable stay. We look forward to having more opportunities to be of service to you. Thanks and warm regards! Dear Guest, Greetings from Bella Vista! We were so happy to read your amazing comments. Our team is pleased to know from your comments that their efforts were so well appreciated. We would be delighted to be of service to you and look forward to your return to Bella Vista soon. Thanks and warm regards! Very good service and food. But location wise bit far from main city. Food is bit expensive but other points are upto mark of excellent. Have thoroughly enjoyed staying at Bella Vista recently and would love to go back. The restaurant serves nice food. Entire hotel staff are courteous and helpful. Our stay was perfect and we highly recommend this resort for families and couples. Greetings from Bella Vista! We wholeheartedly thank you for patronizing us and for your kind appreciation. Your kind words would certainly inspire and motivate our team members. We are pleased to learn that you enjoyed your stay with us and we are hopeful of getting more opportunities to serve you in future. Thanks and warm regards! Had an amazing stay at Bella Vista .Have been to mahableshwar many times and stayed at many properties their but this one stands out for it's warm service and excellent hospitality .Three cheers for all the staff. Awesome place for couples , family rather for everybody. The location is great and the view is also too good. The food was really tasty and hats off to the service. Swimming pool and garden is well maintained. Overall great place to hangout. Dear Guest, Greetings from Bella Vista! It's always a feeling of great honour and satisfaction to know that our guests left with a happy feeling and memories to cherish. We would be delighted to welcome you back again. Thanks and regards! Dear Guest, Greetings from Bella Vista! We feel happy to learn that you enjoyed staying with us and that we could fulfill your expectations. Our entire team feels honored with your kind words and wish to extend gratitude towards you for having appreciated us. We would be delighted to welcome you back soon! Thanks and warm regards. Very nice hotel, can spent pleasant time with family. Having all necessary amenities. Staff is very cooperative. It's outskirts, commuting and roaming around is expensive if won't have personal vehicle. Dear Guest, Greetings from Bella Vista! Thank you for your words of appreciation and encouragement. We look forward to having more opportunities to be of service to you. Thanks and warm regards! I would say best resort. Best part here was the hospitality, reception to restaurant , all of them were so courteous. my check in time was 12pm,but my bus dropped me at resort early morning at 6am. they did not make me wait, they straight away provided me with the room without any extra charge. room was nice, clean. Amenities - lots of things to do if u r with family.....I had kept one day only for resort exploration, and was worth it..... However could not use swimming pool as the water was cold(its winter so it's obvious). Food was terrific, nice options in breakfast. only drawback I think is that meals should be included in the package as it becomes costly each time we have meal on ala cart. Rest all was nice, most importantly the staff behaviour....very very nice....hats off to the staff.... will definitely recommend all to stay in this resort. Dear Guest, Greetings from Bella Vista! We feel happy to learn that you enjoyed staying with us and that we could fulfil your expectations. It's always a feeling of great honour and satisfaction to know that our guests left with a happy feeling and memories to cherish. We would be delighted to welcome you back again. Thanks and regards! Had travelled to Mahabaleshwar with a 3 year kid after spending some time at coastal location. While booking the room looking at the pictures which looked great, but never expected the experience to be so Amazing as well, which started with the courteous security to the reception team and other support staff as well. What we liked was the huge open space, sit out areas across the lawns, children play area and swimming pools, activities for kids and adults to keep everyone engaged if they are keen and lip smacking food in their in-house restaurant. They also have a Drum Cafe which i believe is done daily as well where guests can have a good time playing Djambe along their in-house musician James, which we enjoyed. Nice place for family. Lot of activities to do. Good Food and Quality. Service was excellent. Staff was very friendly and courteous. Breakfast had lot of options too. Location is good as well. Would definitely recommend families who doesn't have mobility issue. Resort has many steps and no elevator, so not ideal for senior citizens. Dear Guest, Greetings from Bella Vista! We feel happy to learn that you enjoyed staying with us and that we could fulfill your expectations. Our entire team feels honoured with your kind words and wish to extend gratitude towards you. We would be delighted to welcome you back soon! Thanks and warm regards. Dear Guest, Greetings From Team Bella Vista !! All of us will eagerly look forward to welcoming you back soon again. Thanks and warm regards!